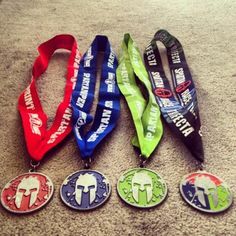 Don't Just Finish - Be Ready to DOMINATE your next Race! 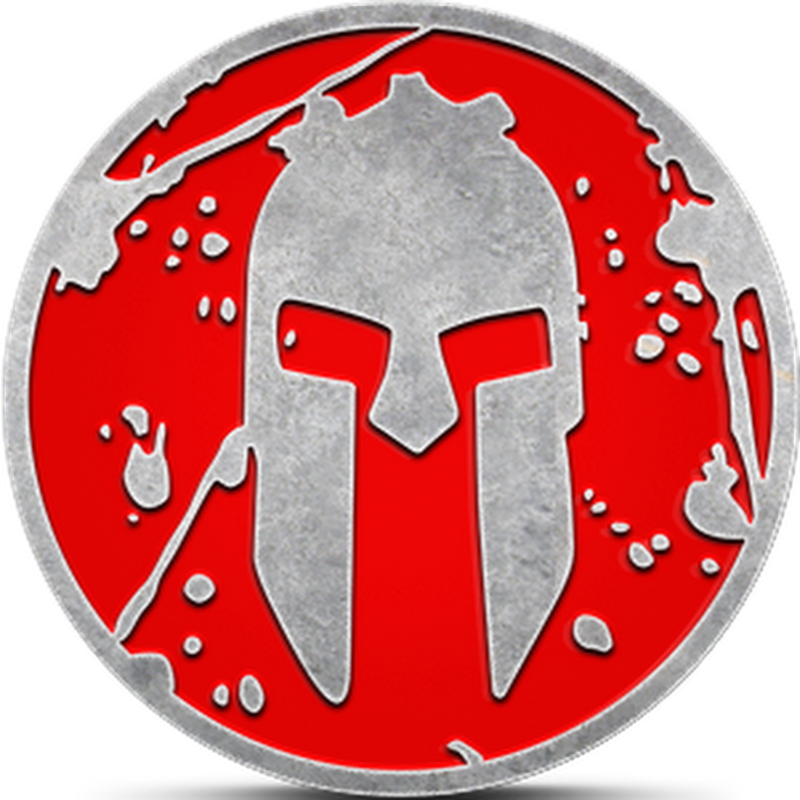 Prepare for your next Spartan Sprint, Super or Beast with a comprehensive Spartan specific training program specifically designed to improve your strength, power, muscular endurance, aerobic capacity and anaerobic capacity. As in any sport, specific training distance is dictated by the relative contribution of aerobic and anaerobic performances. My advice is to develop those qualities that are not your strongest. For strength athletes, spend time running and on your feet. For people who already run a lot, work on your strength. For everybody across the board, movement fundamentals, grip strength, and obstacle skills can always be improved. This is absolutely a game-changer in OCR. 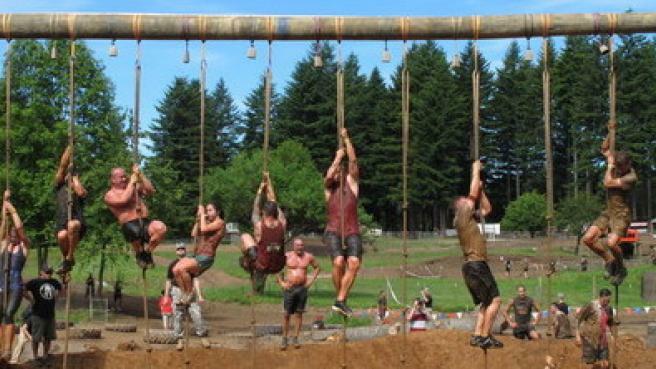 We climb ropes, hang on muddy monkey bars, swing ring to ring, climb walls, farmer carry logs, and much more. Again, by training according to StrongFirst, we already do a majority of the needed strength work that automatically improves grip strength. Pulls: Pull-ups, chin-ups, body rows of any variation. Strong pulls are a must. Kettlebell ballistics: One- and two-hand swings, cleans, and snatches. Besides being a great exercise, these work grip endurance, balance, proprioception, and general athleticism. Plus, the fact that kettlebells can be used unilaterally, which is forgotten by much of the fitness world. Get-ups: As Gray Cook said, “Perfect example of training primitive movement patterns.” Maintain your mobility and continue to build strength at the same time. Deadlifts: For raw strength. Use just an overhand grip for added grip strength. Also practice lowering the weight slowly. This eccentric-type muscle action will help when running downhill. Single-leg Deadlift: You need to train unilaterally. Every step you take is a unilateral movement, and SLDL fits the bill nicely. Rope Work: Climb with and without using your feet. Hand over hand pulling of an object. Climbing up a wall with a rope. Rope to rope monkey bars. Kettlebell Squat and Press: Because you must balance out all the pulling and this is a great combo to tax the CNS. In every race, they: bend, crawl, carry, climb, hang, jump, lift, lunge, swing, pull, push, run, breathe, sprint, squat, balance, stretch and twist. In order to succeed, these athletes must be prepared to do these things on a regular basis. 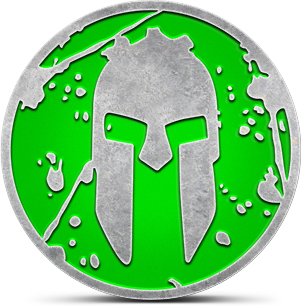 Crawling: The Spartan A, B, C’s are a great addition to any warm-up. These include ape (forward and laterally), bear (leopard, beast or whatever other name you may call it), and crab (feet first, head first and laterally). I also recommend low crawls, army crawls, and Spiderman crawls. Crawling under barbed wire can become difficult if you lack mobility and a solid crawling pattern. Sprint mechanics: We were meant to stand upright and to move. Start working that contralateral pattern a bit more. Add in things like simple skips, power skips, skips for distance, falling starts, and get-up-and-goes. These all train your natural running pattern. If you improve your running mechanics and you will improve your running economy. Change of Direction: Drills where you accelerate, decelerate, and make athletic change of directions. Shuttle runs are huge here because most people who run regularly only go straight ahead. Plyometrics: More than just box jumps. I include broad jumps, burpee broad jumps, lateral jumps, skater hops, and more. Besides the obvious power building, the eccentric landing piece is an important factor people neglect. You must land softly and absorb all those forces. In a race, you end up jumping down from many obstacles. Some are pretty high and you may be landing on uneven ground. Agility ladder: Footwork is the forgotten modality these days for adults. Being light on your feet is crucial when running on uneven terrain. Plus, it helps build calf resilience, proprioception, and speed. Pulls: Pull-ups, chin-ups, body rows. Suspension training is a great body weight tool to aid in OCR programing. Planks: Including all variations. You must be able to stabilize. Push-ups: Because you should be able to do them. Step-ups: Because there are a lot of hills or sides of a mountain you will most likely climb. Lunges: If all else fails while training for an OCR, lunge and lunge and lunge some more. Obstacle Skills. The best way to train for these is to research the common obstacles you will face in a given race and try to mimic them. 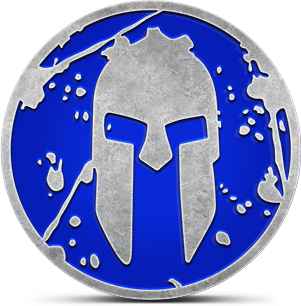 The standard skills I focus on are any kind of rope climbing, monkey bar practice, ring to ring practice, wall climbing of any height, and the Spartan Spear Throw. Rope climbing: straight up and up vertical and incline walls. Rope pulling: pulling objects using a rope. Monkey bars: classic playground type to uneven bars as well as incline and decline type setups. Wall climbing: many varying heights, over, under, inverted and even up fifteen-foot half pipes. Multi-rigs: you could see hanging rings, ropes, balls and bars. Barb wire crawl: get low and go. 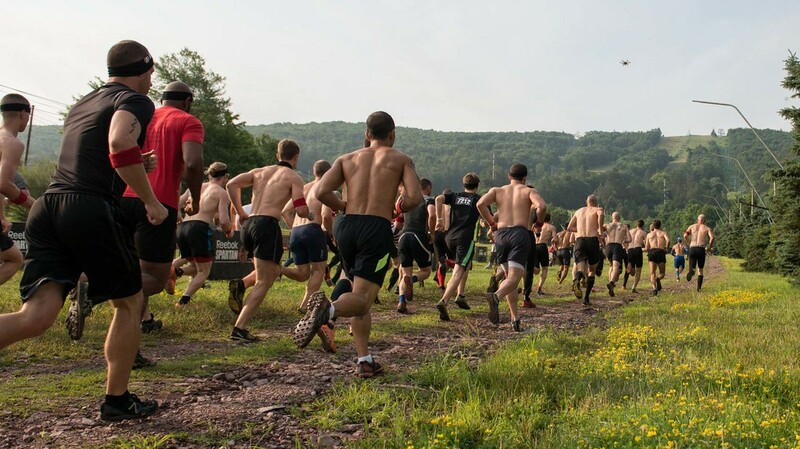 Spear throw: the number one failed obstacle in a Spartan Race. Cargo nets: military style, A-frame and other variations. Carries: farmers, sandbags, buckets, drags and much more.